Today is World Book Day! One of the highlights of the school calendar for teachers and students alike. Its magic is two-fold, because we all get to indulge in dressing up (I have been The Queen of Hearts, Winnie the Witch and Professor McGonagall to name but a few). We also get to share our favourite books from home and enjoy book related activities all day long. Writing is always more enjoyable when it has a purpose, so what better purpose than creating your own book to share with friends and family? One of my students’ favourite activities on World Book Day was making a book of their own. This was always inspired by the writing of other’s, for example, a new adventure for Winnie the Witch or creating a new character in the world of Harry Potter. It culminated in the children sharing their own newly created books at the end of the day. Because the children knew this would happen, they took extra care with their presentation and writing, as well as planning an excellent story or new chapter. Of course there is a long history of children creating their own stories and books, the most famous being the Brontës. Their fantastical stories of the lands of Angria and Gondal were written in miniscule handwriting in tiny handmade books. Book making really gives children ownership of their work. 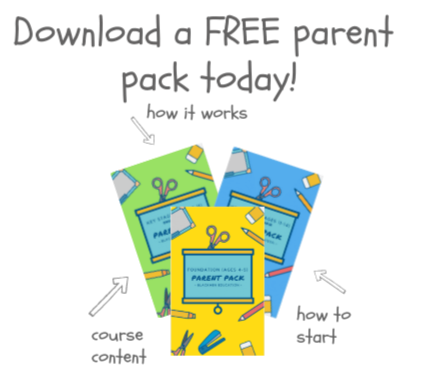 They are author, editor (parents can be sub-editors if required), illustrator and of course, publisher. Many children even like to put a barcode and price on the back of their books. This is also a great space for a blurb. 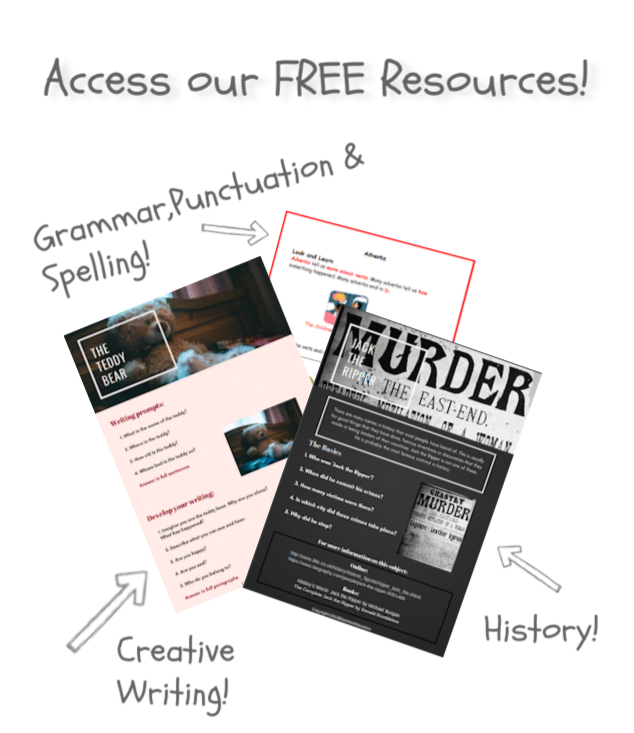 Summarising the plot without giving away the ending is a great skill to develop. The books don’t have to be complicated to make. The simplest is a piece of folded card, with the required number of pages folded and either glued or stabled into place. For very young children, a great place to start making their own books, is writing about themselves. Writing about their family, pets and favourite food and places really engages them. For many years I treasured my first handmade book, “All about Me.” I made it at the age of four, with help from my teacher, lots of yellow wool hair and two blue buttons for eyes. Today, of course, you can use the computer to produce equally thrilling results and multiple copies for grandparents, for example. 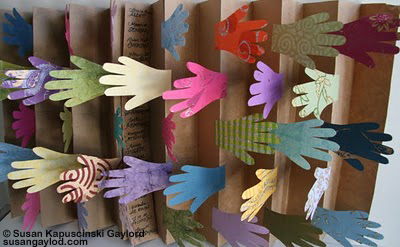 Homemade books can come in all shapes and sizes and be about anything! For children who prefer reading and writing non-fiction, these can fit very well with a favourite topic. In the past, we’ve made books shaped like Viking boats, cats, Tudor houses and trains. The link below shows one example of how to create a book shaped like a house. 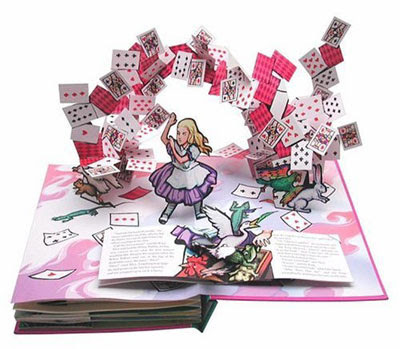 Pop-up books are great fun to make too. Because they are not much more than a card, they are not daunting for younger children. The writing needs to happen before the pop-up is made, so can work as an incentive. Parents may to help with some of the more intricate designs on the link below. So whatever your child’s interests, there is a book in them just waiting to be written. 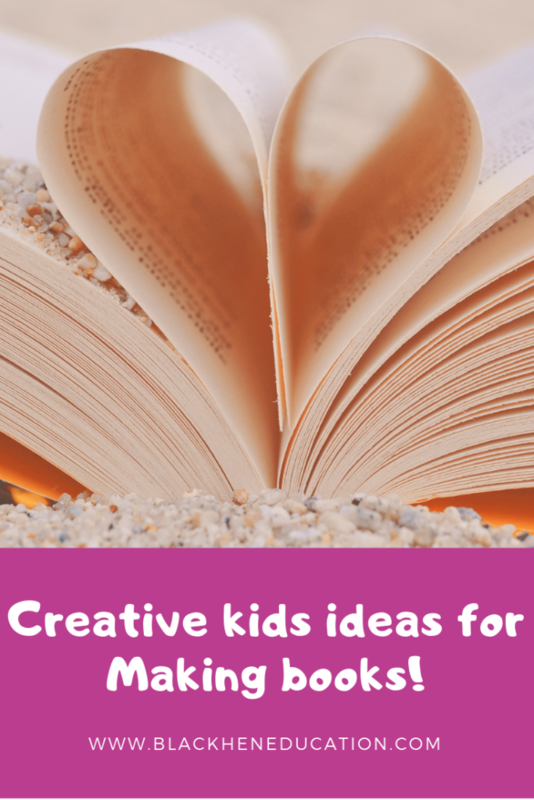 For lots more advice and ideas on helping your children to create their own books, see the link below.